Have you ever thought that it would be cool to meet President Abraham Lincoln, or maybe first lady Abigail Adams? Ever wondered about the history of barn quilts or the Erie Canal? If you are a Civil War buff, maybe you have thought it would be fascinating to be a fly on the wall as you listen to General Ulysses S. Grant and William Tecumseh Sherman plotting the demise of the Confederate armies. If so, the 3rd annual Orleans County Heritage Festival is just for you! All of your curiosities may be satisfied by taking advantage of 10 days of heritage events. The 3rd annual Orleans County Heritage Festival runs Sept. 7 to Sept. 16 and features 10 days of fascinating, entertaining, and educational events – most of which are free. You don’t have to be a resident of Orleans County to appreciate, or enjoy, this year’s calendar of events. Organizers chose to focus on four themes this year: the Erie Canal, historic women, barns/barn quilts, and nature/wildlife. The festival kick-off event is on Sept. 7 at the Clarendon Historical Society from 6 to 9 p.m. There will be live music featuring recording artist Sonny Mayo, food, local wines and more. 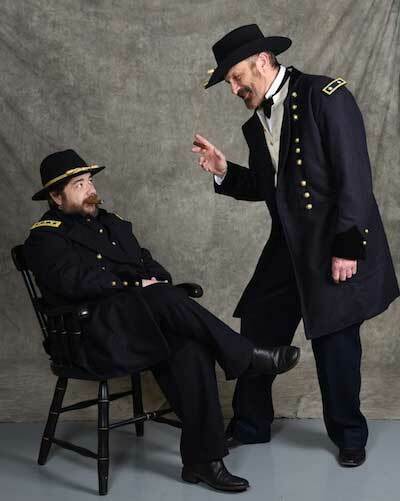 At the same location the following day, Saturday, there will be a Civil War encampment and at 2 p.m. the world premiere of the two-man show “Now we stand by each other always.” The play features a conversation between Civil War commanders Lt. Gen. Ulysses S. Grant and Major Gen. William Tecumseh Sherman. Based on a March 1865 discussion between the men at City Point, Virginia, where Grant made his headquarters, the play will be performed by Genesee Community College professors Tracy Ford (as Sherman) and Derek Maxfield (as Grant). This free event is outdoors, weather-permitting; lawn chairs are suggested. On Sunday, Sept. 9th, the Cobblestone Museum in Albion will host Elizabeth Cady Stanton, portrayed by Dr. Melinda Grube, for a 1 p.m. presentation. The Cobblestone complex will be open for tours as well. Later that day, the Hoag Library in Albion will host a genealogy workshop presentation by Dee Robinson, retired Town of Gaines historian, at 7 p.m.
Dr. Grube will also appear at 7 p.m. on Monday, Sept. 10, at the Hoag Library for a women’s history program entitled “Justifying Suffrage: From Mothers of the Republic to Angels of the Home.” Even before the patriots of 1776 first proclaimed that “all men are created equal,” Americans struggled to define women’s proper role. Are women included among the equal “men” of this nation? Are women citizens? Are they persons? Join Dr. Grube as she examines the issues. Hurd Orchards in Holley hosts a unique presentation on Wednesday, Sept. 12, titled, “Song of an Orchardist” including lunch and lyric music in the Hurd Orchard barn. There will be poems from Monty Mason’s Song of an Orchardist book too (19th century fruit grower from Albion). The 12:30 to 2 p.m. event requires reservations, so book early. Two great events are slated for Friday, Sept. 14. The first will be hosted by the Lyndonville Central School and will feature a concert focusing on the songs of the Erie Canal by the Lyndonville 5th-6th grade Summer Music Camp students at 1 p.m. That evening, the Orleans County Daughters of the American Revolution in Albion will host Dr. Terrianne Schulte, of D’Youville College, for her presentation “We Have to Create a National Debate, Community by Community…”: Women Trailblazers in Environmental Reform. Throughout the 20th century, women have played important leadership roles in environmental preservation and restoration, often by educating the public regarding complex environmental issues to encourage grassroots activism. The event is free and open to the public. Come out on Saturday, Sept. 15, for the “Epochs in Orleans” Timeline Festival at the West Park in Mount Albion Cemetery, Albion, featuring a walk through history – from First Lady Abigail Adams and President James Polk to Civil War Generals Ulysses S. Grant and William Tecumseh Sherman. The daylong event runs 9 a.m. to 4 p.m. There will also be cemetery tours with Orleans County Historian Matt Ballard at 10 a.m. and 1 p.m. Stick around for special presentations at 11 a.m. with Derek Maxfield as Lt. Gen. U.S. Grant, 1 p.m. with Melinda Grube as First Lady Abigail Adams, and 3 p.m. Albert McFadyen as President Franklin D. Roosevelt. The event at Mt. Albion is free and open to the public. Also on Saturday, at 7 p.m., Kendall Central School District will feature movie director Julianne Donofrio and her film, “Pieced Together” – a moving documentary about the Barn Quilt Trail which began in Ohio and influential in our own Barn Quilt Trail that was started in Kendall. There are many other great events over the ten day festival. For the full schedule of events, click here. Folks with questions may contact Prof. Derek Maxfield, one of the festival organizers, at ddmaxfield@genesee.edu. Heritage Festival Kick-off Party at the Clarendon Historical Society will feature live music by Sonny Mayo, tours of the Clarendon Historical Society’s collection of artifacts and memorabilia, Civil War Encampment, food provided by the Clarendon Lions Club and wine provided by Leonard Oakes Estate Winery, 6-9 pm. Clarendon Historical Society will host Civil War Encampment featuring Union and Confederate soldiers (9 am-4 pm); World premiere of Rudely Stamp’d presentation “Now We Stand Together Always: A conversation between Lt. Gen. Ulysses S. Grant and Maj. Gen. William Tecumseh Sherman” (2-3 pm). This original play recreates a conversation between these Union generals when they met at City Point, VA, in March 1865. Together they plot a course for finishing the war. This is an outdoor performance (weather permitting) and lawn chairs are welcome. (Rain date/location TBD.) This performance is co-sponsored by GCC History Club and Clarendon Historical Society. Iroquois National Wildlife Refuge presents Native American Walks-Uses of Wild Plants led by Marvin Jacobs at Kanyoo Trail (Route 77) (1:30-3:30 pm). Learn the many uses of plants and how nature is seen in Native American folklore. Bring bug spray. A Genealogy Workshop hosted by Orleans County Genealogical Society and a presentation by Delia Robinson at the Hoag Library (7-9 pm) . Dee is the retired Town of Gaines Historian and retired Resource Center Director for the Cobblestone Society. She has written six books on local history and cobblestone. One book, Historical Amnesia is about women in Orleans County and their accomplishments prior to 1900. She will discuss these women in her presentation. She presently works as a Reference Librarian at Hoag Library in Albion and gives monthly history talks under the title: “Tea with Dee”. Dr. Melinda Grube presentation titled, “Justifying Suffrage: From Mothers of the Republic to Angels of the Home” at the Hoag Library (7 pm). Even before the patriots of 1776 first proclaimed that “all men are created equal”, Americans struggled to define women’s proper role. Are women included among the equal “men” of this nation? Are women citizens? Are they persons? Are their rights defined only in relationship to that of men, or are they something more than merely the female relatives of male patriots? As we approach the centennial celebration of women’s suffrage, this lecture explores how women both struggled against and took advantage of the myths of heroic and sentimental motherhood in their fight to take their place beside their brothers to forge a more perfect union. Primary Day: Get out and vote! Daughters of the American Revolution presentation by Dr. Terrianne Schulte, Associate Professor of History, D’Youville College, titled, “We Have to Create a National Debate, Community by Community: Women Trailblazers in Environmental Reform. Knowledge is power.” Throughout the twentieth century, women have played important leadership roles in environmental preservation and restoration, often by educating the public regarding complex environmental issues to encourage grassroots activism. In this presentation, we will explore how some well-known—and not so well-known—women trailblazers helped to establish a base of informed citizens that ultimately shaped environmental reform in the United States. Uniform model, Ray Ball, Jr. kindly lent his vast collection of period uniforms for this image. Photographed by Maureen Spindler, Genesee Community College. 3 pm: Franklin D. Roosevelt portrayed by Albert McFadyen. Timeline Festival is sponsored by GCC History Club. Cobblestone Museum will host a Cobblestone House Tour in Orleans County (time 11am – 4pm) They have lined up 8 stops on this year’s self-drive tour that features cobblestone homes and buildings around Orleans County. Owners of many of the homes featured are allowing guests to tour the interior of their homes. A map and tour booklet containing historical information will be distributed. Ticket prices are $15 for Cobblestone Society Members and $20 for non-members, and are available online at cobblestonemuseum.org or at the Cobblestone Museum, 585.589.9013. Iroquois National Wildlife Refuge presents the Great Egret Excursion at Cayuga Overlook (Route 77), (5:30-7 pm). View the regal species gather for the night at a refuge roost location. Bring binoculars and bug spray. Limit to 30 participants. Kendall Central School District will host Peabody Award-winning veteran of ABC News, Julianne Donofrio, who will present her documentary “Pieced Together” which tells the story of how one woman’s love for her mother changed the American landscape – and saved her life after job loss, breast cancer, and multiple health concerns. Now there are more than 260 trails and countless squares in over 40 U.S. states and parts of Canada, including our local Country Barn Quilt Trail in Orleans County. Local Country Barn Quilt Trail organizer Lora Partyka will also present. Sponsored by Partyka Farms and Orleans County Tourism. 7 PM at the Kendall Jr Sr High School, Roosevelt Hwy, Kendall. Read Ms. Donofrio’s profile. NEW YORK, NY (JULY 5, 2017) – A bicentennial party is floating its way to ports of call along the Erie Canal from the Brooklyn Waterfront to the Buffalo Waterfront on Lake Erie. (*See below for Orleans County performance). From September 2 through September 23*, the Heartland Passage Tour will bring troubadours, tugboat crew members and other storytellers – plus award-winning musicians and an Academy Award winning filmmaker – to ten cities and towns connected to the Erie Canal. The Tour will mark the start of the Canal in 1817 – which made New York America’s global city and helped create the cities of Syracuse, Buffalo, Rochester and Utica. The Tour celebrates and helps preserve the culture and way of life the Canal engendered – and that has become endangered and revived – as it continues to shape the lives of New Yorkers. “The cultural impact of the Canal was huge,” said Steve Zeitlin, director of City Lore. “Low Bridge, Everybody Down! (the Erie Canal Song)”, most recently performed by Bruce Springsteen, was one of dozens of songs inspired by the Canal. The songs of Stephen Foster are part of the Canal’s history. Even George M. Cohan wrote a song about the Canal. About The Heartland Passage Tour: The Heartland Passage tour is a unique new performance event that will travel on the Erie Canal September 2 – 23* to celebrate its bicentennial and demonstrate its cultural and historic impact through songs, stories and the documentary film Boom and Bust. The tour is funded by the National Endowment for the Arts and a Regional Economic Development Grant through the New York State Council on the Arts. The Tour is sponsored by City Lore (www.citylore.org), the Erie Canal Museum (www.eriecanalmuseum.org) and Livingston Arts (www.livingstonarts.org). For more information and tickets see www.citylore.org/heartland-passage-tour. About the Sponsors: Founded in 1986, City Lore’s mission is to foster New York City – and America’s – living cultural heritage through education and public programs. The Erie Canal Museum in Syracuse provides engaging educational experiences that champion an appreciation and understanding of the Erie Canal. The mission of Livingston Arts is to enrich the quality of life in Livingston County and Western New York by encouraging and promoting the arts and cultural activities. *The Heartland Passage Tour will be in Medina, NY on Thursday, September 14th at the Erie Canal Basin, Manilla Place. This will include Gretchen Sepik as Surly Sal, cook on the Erie Canal, The Dady Brothers & Kit Fallon, Dave Ruch and the showing of the film: Boom & Bust: America’s Journey on the Erie Canal. Rain Location: Medina Theatre, 603 Main St. Medina NY. Tour historic Forrestel Farms and celebrate our local heritage with a barn dance featuring live music by City Fiddle. Bad Ash BBQ Food Truck, craft beverages available on site. Free Admission • Food & Beverage $ • Restrooms • Wear comfortable footwear for tour of grounds. Victorian Spiritualism: lecture, display, and a parlor seance. Join Master Gardeners for a WWII Victory Garden similar to those utilized by US civilians during WWII. They will grow varieties common during that era and hand out copies of authentic Cornell Cooperative Extension 1942 informational Victory Garden leaflets. Plant Sale too! Join us for a great family experience including guided museum tour, scavenger hunt and “make your own Cobblestone building model.” Hands-on fun for all ages! Join local dignitaries and veterans for a memorial service to honor the Heroes of 9-11. Join local fire departments, rescue squads and law enforcement at the 9-11 Memorial Stone for a candlelight vigil in memory of both local and 9-11 heroes. Guided walking tour led by GCC history professor Derek Maxfield. One of the oldest cemeteries in Orleans County, Maplewood Cemetery is the resting place of some of the area’s earliest pioneers. Two Revolutionary War soldiers are buried here as well as Thomas McManners, an escaped slave who fought for the Continental Army and was said to be a servant to Gen. George Washington during the Revolution. Experience an Erie Canal Boat luncheon, the Canalboat Kitchen featuring early 19th century fare for lunch, sharing artifacts and story telling that brings the canal to life. They will also share the vital role that the canal plays in modern agriculture. Weather permitting, they will lead a tour to their siphon on the Erie Canal to show how the waterways supply agricultural needs. 5:00-8:00 PM: Medina Lions Club food stand-come down early for dinner! 8:00-8:30 PM: Erie Canal Film, “Boom and Bust: America’s Journey on the Erie Canal,” a new documentary tracing the cultural riches of the canal through its industrial rise and decline, and rebirth as a tourist & recreational gem. The Elementary Summer Honors Band (Albion, Medina & Lyndonville) and choral groups will present a concert with music from the World War I era. Exhibits will be available for review featuring clothing from the era and presentations will be shown between musical selections. Courtesy of the Lyndonville Area Foundation. Join Orleans County Historian Matt Ballard at the historic Mt. Albion Cemetery for two 50 minute walking tours. Each tour will feature different individuals, so folks from the first tour might choose to stay on for the second. Tours begin from the cemetery chapel. Free Admission. Come enjoy informative lectures, view special exhibits, and meet historical personas like Abraham Lincoln or Elizabeth Cady Stanton. Enjoy a concert featuring teaching artist Dave Ruch who will perform “The War of 1812: Songs and Stories from NY and Beyond” at 1 PM. Members of the Orleans County Genealogical Society will be on hand to help individuals with their genealogical research. Researchers at all levels are welcome. Handouts will be available for those researching the WWI service of their ancestor. Researchers need not be residents of Orleans County. The Clarendon Historical Society will host a reception featuring the newly restored Carl Akeley fox at the 1834 Cobblestone Church at the Cobblestone Museum Complex. The Cobblestone Society is pleased to “welcome home” its restored red fox mounted by Carl Akeley. A native of Clarendon, New York, Akeley established himself as one of the most influential taxidermists in the history of the United States. His major works exist in museums throughout the country including the Akeley Hall of African Mammals in the American Museum of Natural History in New York City. The red fox was mounted by Akeley at the age of 16 and was procured for him by Francis Harling of Albion. The mounted fox diorama represents one of Akeley’s earliest works still existing in Orleans County. This amazing diorama was donated to the museum in 1979 by John Seager, great-grandson of Francis Harling, in memory of his parents Agnes Harling Seager and John Seager. The Museum worked with taxidermist and conservator George Dante of Wildlife Preservations in New Jersey alongside two conservators from the American Museum of Natural History to have the piece fully restored to its original beauty. MEDINA – Local actress, singer and storyteller Gretchen Murray Sepik will add color to the 2016 Orleans County Heritage Festival when she appears as Erie Canal Sal at GCC’s Medina campus center for their “Epochs in Orleans” timeline event. Sal is a fictitious character based, in part, on Old Black Nell who was a cook on the canal in the year 1840. She speaks in an Irish brogue and weaves Irish Folk Tales into facts about the Erie Canal. You will laugh as you learn about one of the engineering wonders of the world. Gretchen has adapted the original script for this program into a children’s book entitled “Erie Canal Sal”. Sepik’s program will begin at 2:00 PM in room 16 of the campus center. “Epochs in Orleans” will feature reenactors, impressionists and artisans from all eras of American history. Visitors will encounter Presidents James Madison and Abraham Lincoln, Elizabeth Cady Stanton and others. A number of demonstrations will be featured throughout the day including Civil War firing demos, a fencing demo, as well as artisans plying their crafts. “Epochs in Orleans” is free and open to the public 9:00 AM to 4:00 PM on Sept. 10th. Donations to the GCC Veterans Scholarship Fund are cheerfully accepted. For more information go to the event website: https://orleansnyheritage.wordpress.com/ or contact Prof. Derek Maxfield at ddmaxfield@genesee.edu. ALBION – The first annual Orleans County Heritage Festival is just two weeks away – Sept. 9-11 – as organizers scramble to get word out and mobilize their resources. This year’s festival will focus on four themes – Agriculture, Transportation, Historic Gems and Historic Cemeteries. Visitors who wish to take advantage of the great opportunities afforded by the heritage festival should begin by procuring a festival brochure, which is available at all participating organizations and from Genesee Community College campus centers in Albion and Medina. A list of participating organizations is available at the festival website: http://orleansnyheritage.com. Once the brochure is in hand, participants are encouraged to visit at least three locations to be eligible for some great prizes. As guests visit each location, they will be provided with a colored ribbon. Once they collect three ribbons of any color, they are eligible for a remarkable collectable button featuring artwork that reflects the four themes. They also become eligible for a drawing for prizes. One of the four themes emphasized this year is Historic Cemeteries. Participating cemeteries include: Beechwood and Greenwood in Kendall, Boxwood in Medina, Hillside in Holley, Mt. Albion and Union Cemetery at Watt Farms – both in Albion. Cemeteries are a rich source of local history and culture, if we take the time to appreciate them. The cemetery art contained on the many grave stones contain information about families, military service and values. The symbols and iconography give us a window into the culture of the time. Several of the participating cemeteries this year will give people the opportunity to learn more about these wonderful outdoor museums. At Boxwood Cemetery in Medina, Village Historian Todd Bensley will lead tours on Saturday, 9/10 and Sunday, 9/11, beginning at Noon and 2:00 PM. There is no admission charge. Mt. Albion in Albion will also feature cemetery tours led by legendary former Orleans County historian Bill Lattin. Tours will be led on Saturday, 9/10, from 3:00 to 5:00 PM and will begin every half hour from the chapel. There is no admission charge. At Hillside Cemetery in Holley visitors can take a self-guided tour of the remarkable Gothic Revival chapel built in 1894 and cemetery from 9:00-11:00 AM – beginning from the chapel, and/or go on a “Ghost Walk” in the evening. Established in 1866, the cemetery has a split personality. The older section of the cemetery reflects the romantic era of antebellum America and Guilded Age of the late 19th century. The newer section reflects the Lawn Cemetery style of the twentieth century. The Clarendon Historical Society began raising money a few years ago in an effort to preserve the beautiful chapel at Hillside Cemetery. The “Ghost Walk” on Saturday, 9/10, will benefit the restoration fund. Walks will begin from the chapel at 7:00 and 8:00 PM. Admission is $10.00 per person. Among the fascinating “ghosts” will be Carl Akeley, the famed taxidermist, who will be portrayed by Tom Rivers, editor of the Orleans Hub. Also featured will be Francis Cole, who was a POW for 29 months during World War II, and Jewell Buckman who had the distinction of being the first local soldier killed in World War I. The cemeteries in Kendall, Beechwood and Greenwood will feature self-guided tours from 10:00 to Noon on Saturday, 9/10, as will Union Cemetery at Watt Farms in Albion. A brochure will be available at the Watt Farms Market which will highlight the graves of veterans of the War of 1812 and the Civil War. Folks interested in American death ways will want to check out events and exhibits at Genesee Community College’s Albion campus center. 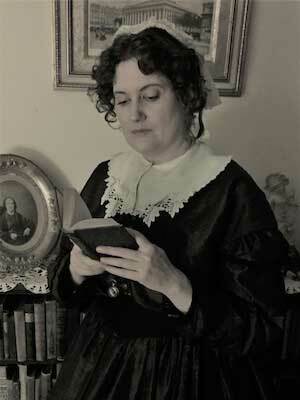 “Death, Mourning and Justice in Orleans County” will feature a recreated wake in a Victorian parlor. A beautiful glass casket from the late 19th century will be on display. There will also be two public lectures; at 11:00 AM Orleans County District Attorney Joe Cardone will speak on famous crimes and murders. At Noon Bill Lattin, retired Orleans County Historian will talk about Victorian memorials featuring human hair. There is no admission charge for any GCC events or exhibits. For more information about the Orleans County Heritage Festival go to http://orleansnyheritage.com or contact Derek Maxfield at ddmaxfield@genesee.edu. Union artillery and cavalry re-enactors at GCC’s 2015 Civil War Encampment. MEDINA – The first annual Orleans County Heritage Festival is fast approaching – Sept. 9-11th, 2016. As part of that county-wide event, Genesee Community College in Medina is holding it’s first-ever timeline festival – “Epochs in Orleans” on Saturday, Sept. 10th. Just like it sounds, a timeline festival features reenactors and impressionists from all eras of American history chronologically. So as visitors visit they feel like they are walking through time. Guests can begin with World War II and move backward through time or in the colonial era and move towards the present. In addition to the military reenactors, “Epochs” will feature antique autos, Civil War firing demonstrations, a fencing demo, and three great indoor presentations. Beginning at 11:00 AM, historian Melinda Grube will portray Elizabeth Cady Stanton, the famous champion of womens’ rights. At 1:00 PM Joyce Thompson, a retired social studies teacher, will give a presentation on some of America’s founding mothers. At 2:00 PM Gretchen Murray Sepik, a local actress and author, will portray Erie Canal Sal – a fictional character based in part on Old Black Nell. “Epochs in Orleans” is FREE and open to the public from 9:00 AM to 4:00 PM on Saturday, September, 10th, 2016.